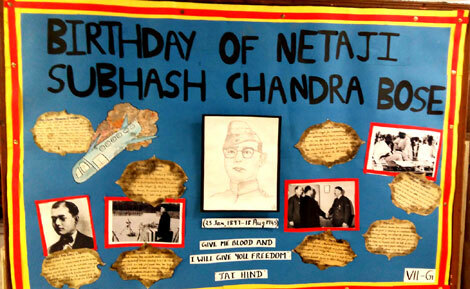 'Birthday of Netaji Subhash Chandra Bose' was observed by Class VII G of St. Mark’s Sr. Sec. Public School, Meera Bagh. 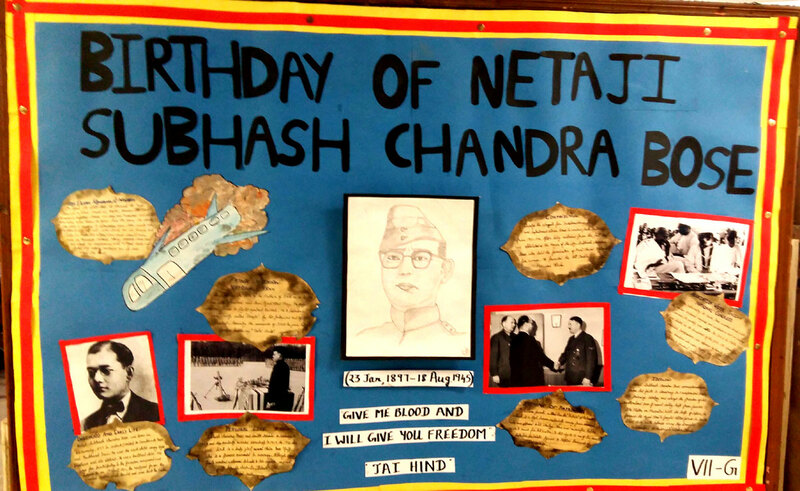 A board was prepared by the students and a PPT on Netaji was shown in all the sections of Class VII. 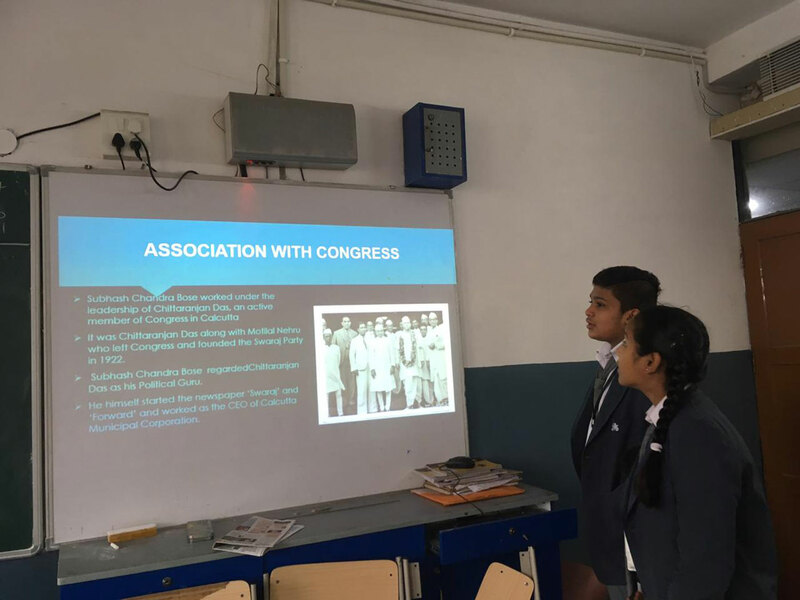 Students also spoke about the great patriot in all the sections of Class VII. It was a good learning experience. “Darkness cannot drive out darkness; only light can do that. Hate cannot drive out hate; only love can do that.” - Martin Luther King, Jr.
On 21 January, 2019, 10 students of St. Mark’s Sr. Sec. 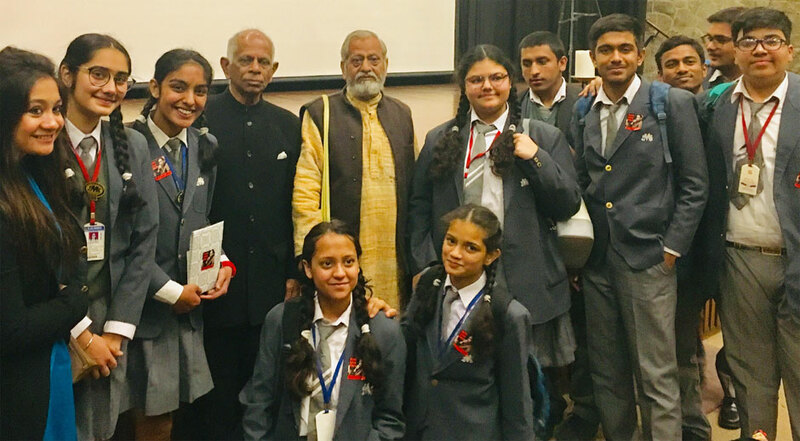 Public School, Meera Bagh participated in celebrating the 90th Birthday Commemoration of Martin Luther King Jr. at India International Centre, Lodhi Road, New Delhi. 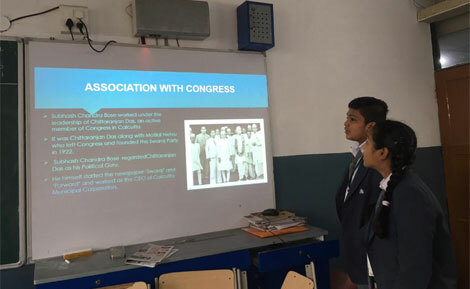 This was organised by Gandhi Yuva Biradari and Working Group on Alternative Strategies as a part of spreading the language of Non-Violence among students. The programme started with lighting of the ceremonial lamp at the Gandhi-King Memorial Plaza which was followed by the flag march. After this an interactive session on the life and mission of Martin Luther King was conducted by Shri. Suhas Borker and Shri. Ramesh Sharma. Sanah Malik (XI-B) won the first prize among 20 schools for putting forward the quality questions. 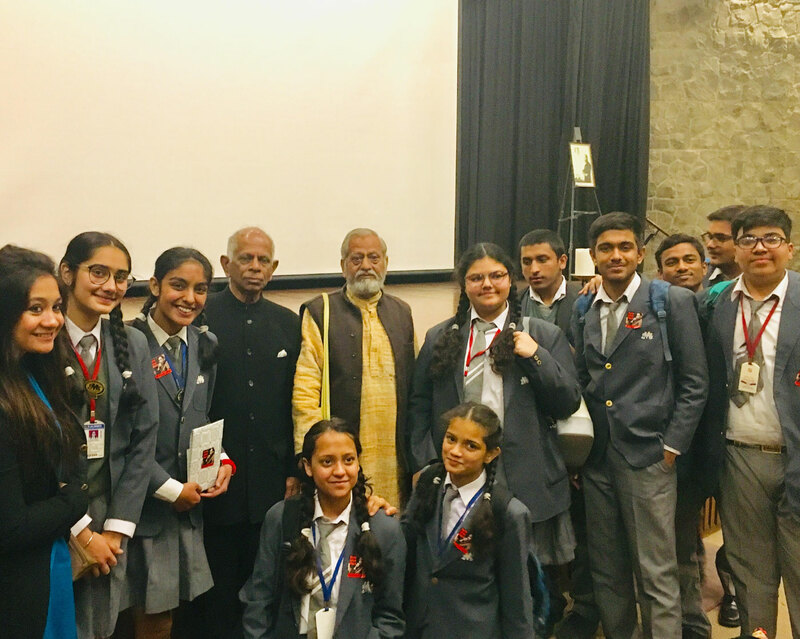 The session ended with students imbibing the legacy of Gandhi’s non-violent struggle for the purpose of equity, justice and Nation building. Sumit Goyal (IX-E) and Amish Sethi (VI-C) of St. Mark’s Sr. Sec. Public School, Meera Bagh cleared Round 1 of Byjus-DSSL (Discovery School Super League) and appeared for Round 2 on 13 January, 2019. © 2000 St. Mark's Sr. Sec. Public School, Meera Bagh, New Delhi - 110087. | All Rights Reserverd.